One of the frequent questions we get is with regards to backups. How safe is your data, really? As with most enterprise-level applications, our database is replicated. What that means is when you interact with your account, and data is saved to our database, that same data is replicated to another database on another server. So if our main database server ever fails, we can easily fail over to our secondary server with minimal loss of data. In addition to this, each account is also backed up on a daily basis. Back-up files are again stored in an alternate server location to protect against failure on our main servers. This will also protect against data loss for specific accounts. One method of backing up your data is to simply run reports for the individual modules. 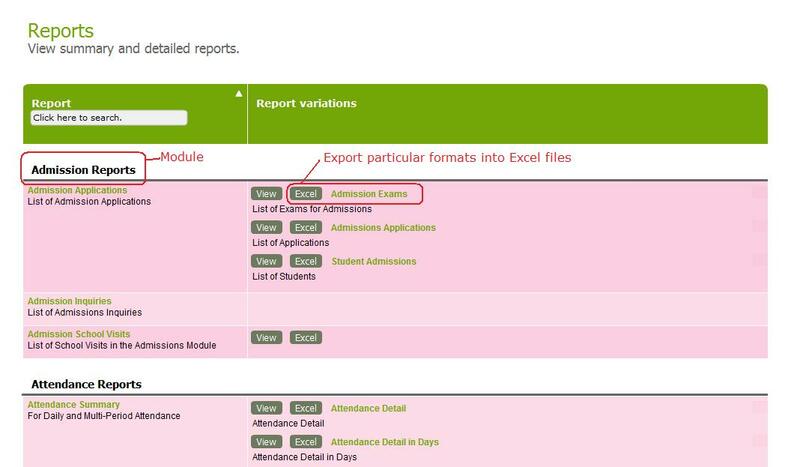 Data from each module can be exported into an Excel file, and stored offline. The data backed up in this method is readable, but a little tedious to perform, depending on the number of modules you have activated in your account. The second method is to turn on the “Advanced backup control” feature (under “Features” and click on “Or click here to edit overall settings”). Users with this access can create an XML file of the entire account. The XML file retains the relationships between the various elements in your account. You will need to have the know-how to interpret the data, but the XML format itself pretty standard. Please note that data that schools back up on their own cannot be used to restore a QuickSchools account. Account restorations would only be performed by our technical personnel, if required. And that’s a brief run down of how your data is/can be backed up. We are always looking for ways to improve our product and services, so please feel free to let us know your comments and suggestions.